If you don’t have a buyer persona in place, you should think about why. If it is because you don’t know what a customer avatar is or buyer persona is, now is the time to learn. 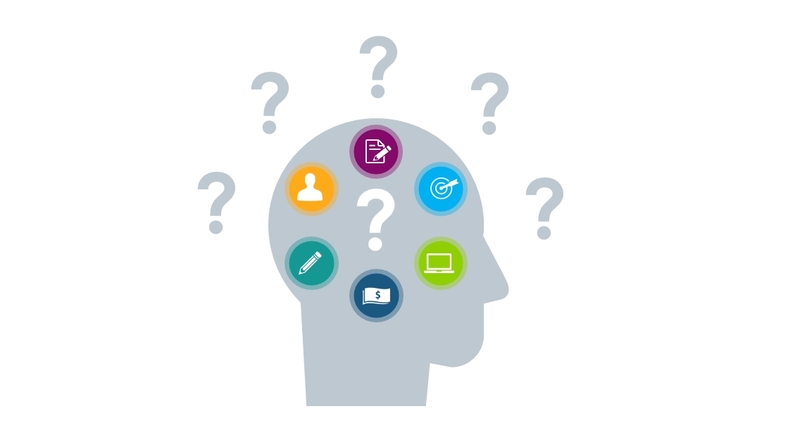 What is a buyer persona? 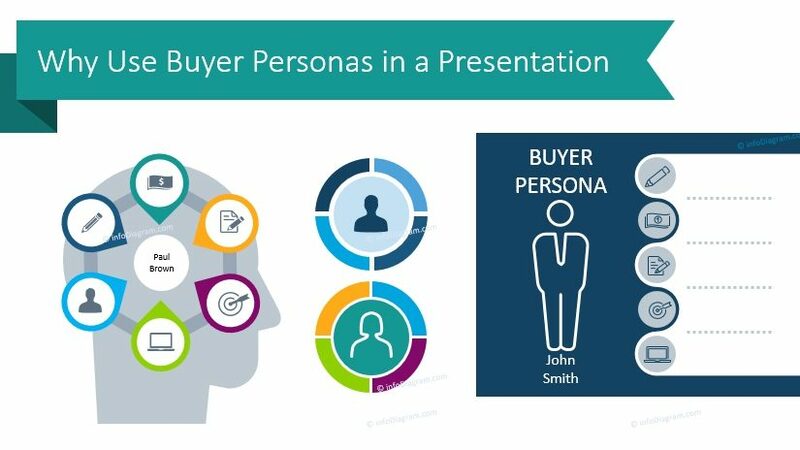 You may have heard of buyer personas as marketing personas. These target personas are essentially breakdowns of who your ideal customer is. These can be helpful to you as reference material, but also to help train personnel or ensure your organization is consistent. If you’re not sure of how to use a persona or customer avatar, read on. 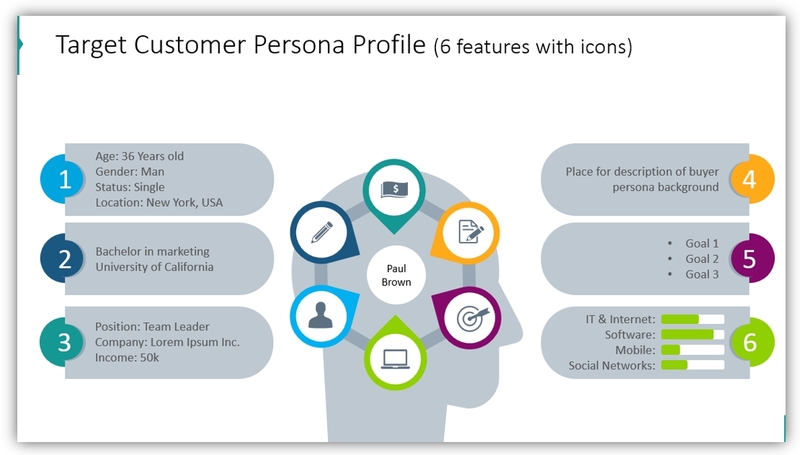 Graphics can help you build your Customer avatar – see the full Persona PowerPoint Template here. You can use a customer avatar to boost the engagement of your listeners. Once you establish who your target audience is you can tailor your messages, tactics, and products to your target persona. 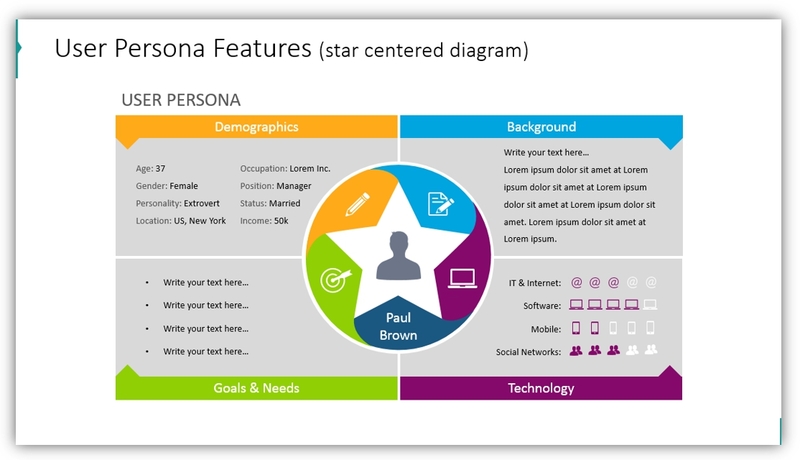 Marketing personas list attributes about your ideal clients. You can use them to communicate within a department or your organization or to use as a reference for yourself when planning. The best way to present a buyer persona is to illustrate it – literally. 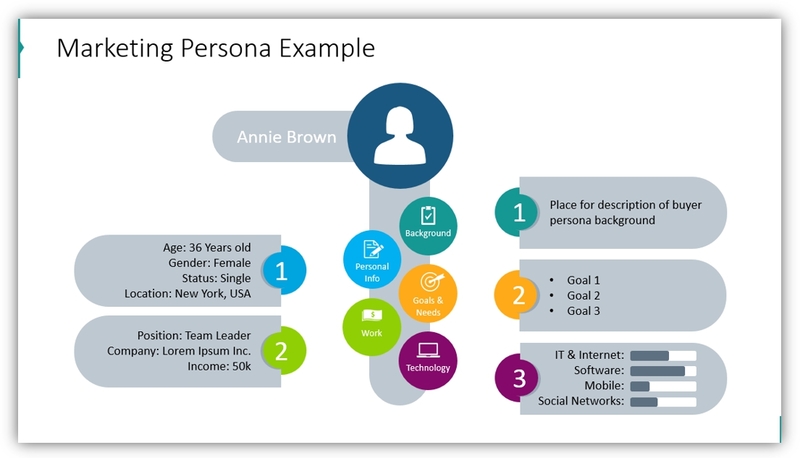 Add a slide with the name of your target client and incorporate the profile you created. The profile should detail everything about your target audience. It should describe what they do, what their professional background is, what their personal needs are, and what their habits are. You might choose to detail what their personal life or hobbies are, depending on the topic of your presentation. 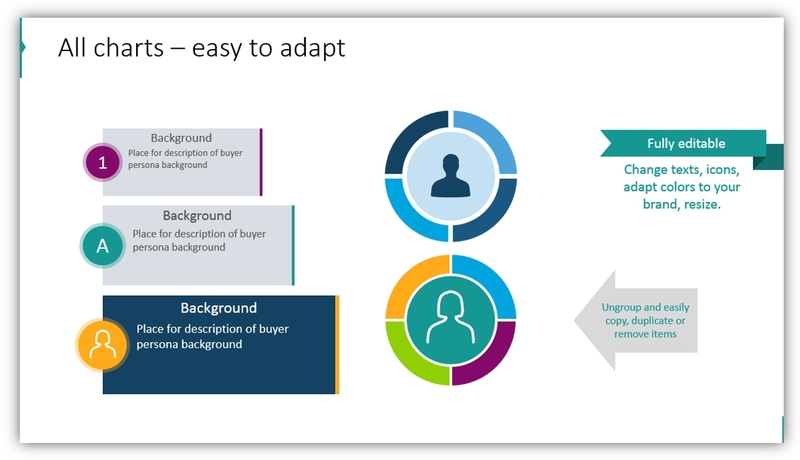 If you aren’t sure of what to include on your buyer persona slide, we’ve prepared several graphical references that can help you. 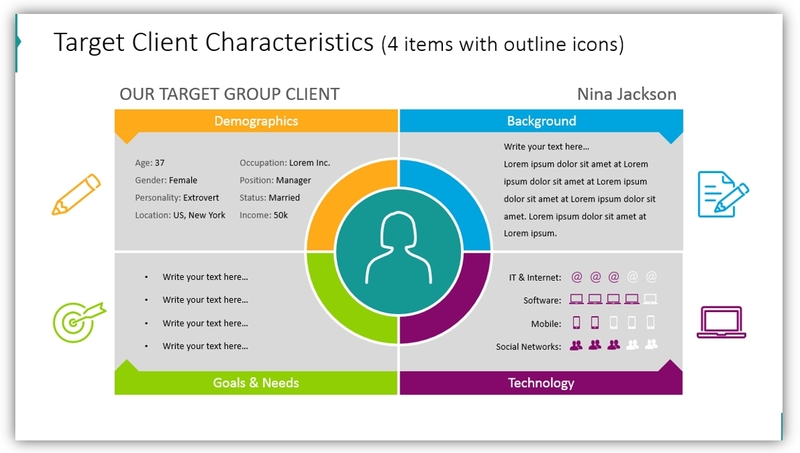 Graphics like these provide a practical template for adding various types of customer personas to your presentations. We provide several styles of editable PowerPoint persona slide. You can easily modify whichever one you choose to suit your business, identify, and brand. You can change colors, replace images, or modify the text – all in a matter of moments. 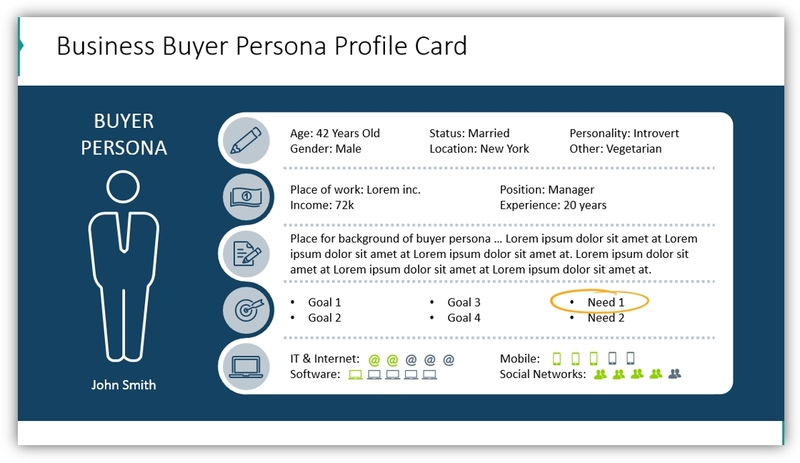 This target customer persona template can be totally customized and changed to match your company brand identity and your personal buyer persona. You can easily remove or duplicate relevant parts. 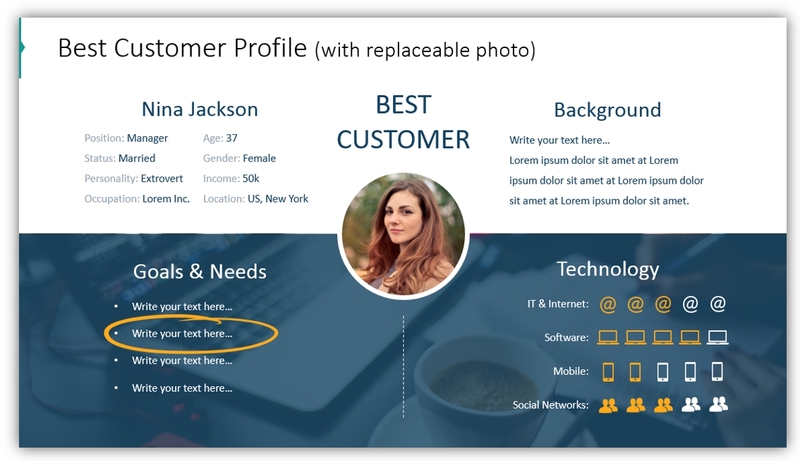 The best customer profile graphic allows you to customize the background, goals, needs, and more of your target as well as add a photo which best represents your imagined ideal client. The vivid colors in this graphic illustrate persona characteristic categories which can be changed to match brand identities. This graphic can also be modified to include a name. It can be either an actual client name who represents your ideal client, or a fictitious one. If you’re unsure of what to modify, remember that a slide with a dark background can be more eye-catching. This image is a prime example. As a reference, the graphics can all be easily modified in seconds. The attributes which can be changed are broken down in this image. Unsure of how to best use marketing profiles? For a more general set of diagrams, check infographics diagrams bundle. The graphics in that bundle can be used to outline processes, timelines, cycles and lists.